"Instant photos, instant fun! 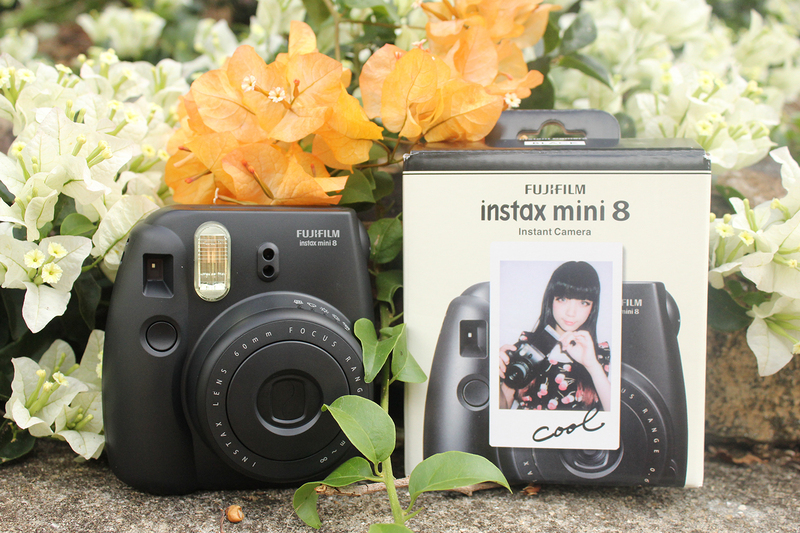 Capture life's spontaneous moments with the Fujifilm Instax Mini 8 with 10pk. Featuring a cute-and-compact design you can take wherever and simple operation for instant-pictures, the Fujifilm Instax Mini 8 makes taking high-key photos simple. Cute & Compact. 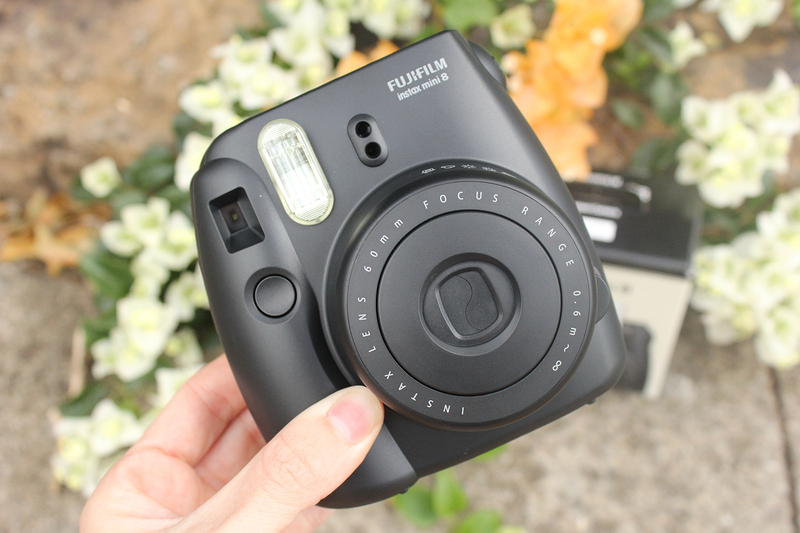 An instant style statement, the Fujifilm Instax Mini 8 looks great wherever you take it. Great Results, Easy. 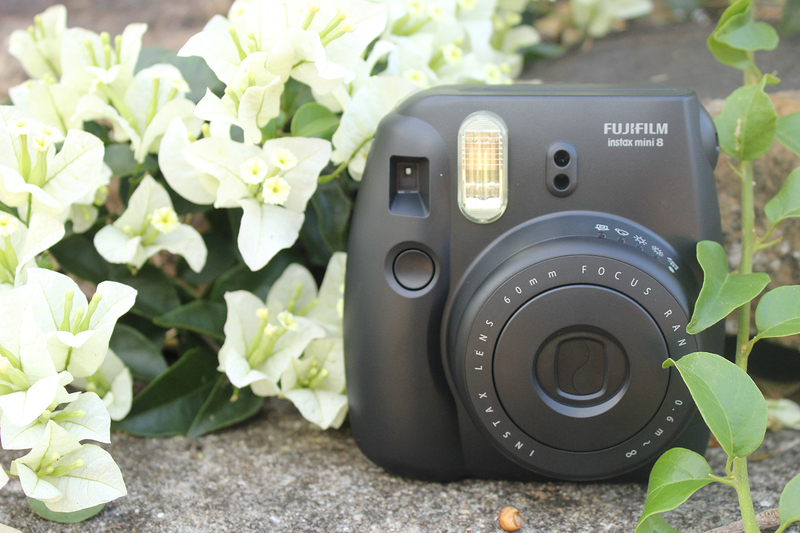 The Fujifilm Instax Mini 8 allows you to take memorable high-key photos without any fuss. Simple operation allows you to take instant photos that you can use to capture life's greatest moments. Additional Features Include: The Fujifilm Instax Mini 8 features a brightness adjustment dial, 1/60 second shutter speed, manual switching system, exposure counter and a shooting range of 0.6 metres for instant classic photos. - Kind Of Lovely is not sponsored by Fujifilm." In celebration of reaching 300 followers on Bloglovin' and my new blog design I am hosting this giveaway to Kind Of Lovely followers all over the world! 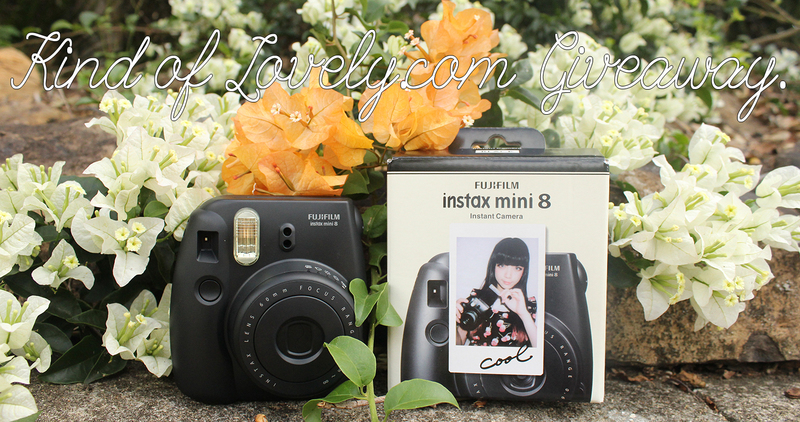 The prize is one brand new BLACK Fujifilm Instax Mini 8 Polaroid Camera plus a 10 pack of film. To enter all you have to do is follow Kind Of Lovely on Bloglovin' and post a comment with your Bloglovin' URL and email below! 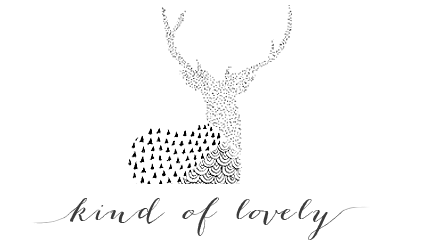 For additional entries: You can follow Kind of Lovely on Facebook and/or Instagram and/or Google Friend Connect. Leave a separate comment for each entry below with your account and email. 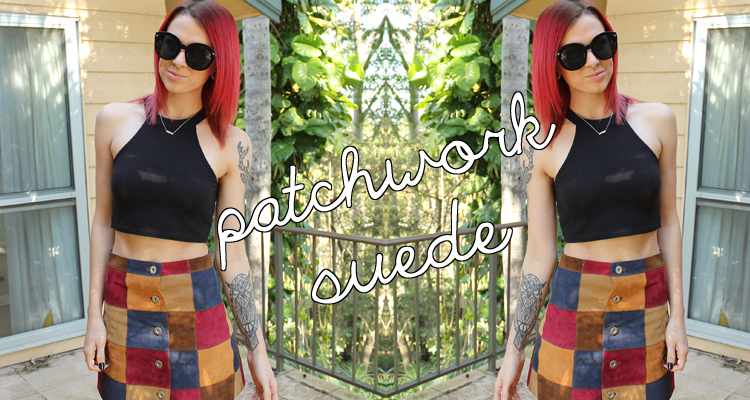 (You must be following on Bloglovin' also to be counted). Winner will be chosen on the 12th of September and contacted by email. Good luck! Thank you everyone who entered, you're all the best! Also followed on fb email: shizayaa1@gmail.com (: thanks for having this giveaway! Fingers crossed. I have always wanted one of these! Amazing give away, I'm in! I'm a new follower & I'm loving your blog. Great review the pink one grab my eye such a chic camera. I always dreamed about polaroid! Congratulations on the 300 followers on there! I have lusted after an Instax for SO LONG, how can I not enter? This is an amazing giveaway prize because it's something everyone wants but might not particularly buy for themselves! My Bloglovin username is nueyork and my email is nueyorknueyork@hotmail.com. Wow amazing prize, the pink one is so cute! I want one of these cameras sooo bad! The colours are so cute! OMG! what a great article dear!! very awesome giveaway!! Wow!!! This camera is amazing! Even if I never take part in giveaways, I want to try it this time! would you like we follow each other on GFC too? thanks for putting this great giveaway up for grabs. fingers crossed. Ohh these are so cute, Id love a pink one! Thanks for your fashion input…Have a great start to the week! I love you ! Great giveaway ! Great prize! Would really love to win this one! Thanks for the chance! Would love to win one of these ^_^ great giveaway! This is such a great promo!! Aw, what a lovely idea! I love your blog! Your style is amazing and your posts are so interesting, great job. I love your blog, it's always a great read :) & thank you for providing a lovely giveaway like this. I think the instax cameras are so cool! Thank you for stopping by my blog and for your comment! This has been on my wishlist for ages now. Would be great to win one! Awesome! It would be nice to have a new camera to take pictures with for my blog and for those other special moments... I'm now following you on Bloglovin'! Oh and I also followed you on GFC As well. How fun! What a unique way to bring back the polaroid! Wow, I've always wanted a Polaroid camera as I'm into photography but they are so expensive. I would love to win this for sure !! I like that camera and it's a great opportunity to win one. You made a good choice on chosing this product. OMG such an amazing prize! depuis que je l'ai en rose, je ne peux plus m'en passer ! I'm also following on Facebook There is a tweak you need to change your page from community to web publishing or website. Pages labelled community get taken over by Facebook. Also following through Google Friend connect. I need to add this to my blogs too. AWESOME idea for a giveaway! I'm headed to NYC in January for my 21st and have been lusting after one of these babies for the trip!! I've wanted one of these for a while :) I'm so happy they have brought back Polaroid cameras! Love the blog design and your photos are lovely! The most difficult art will be to chose a colour now!! 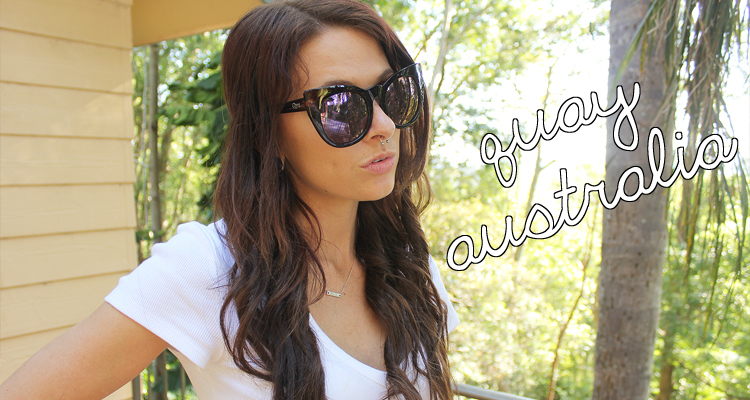 Such an amazing giveaway, I have wanted one of these for the longest time!!! I've always wanted a polaroid, I'd love to win! wow. beautiful ! Love it !